I’m not sure about you, but on various occasions I find myself drawn to images of growth and beauty, where one would not necessary expect to see it. 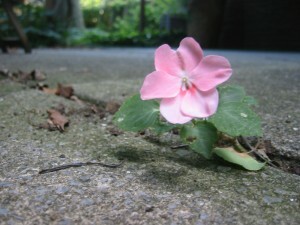 For me, the most memorable images are those which depict the desire to survive in the face of great adversity ~ such as beautiful flowers blossoming in the middle of a cement sidewalk or thriving in the side of a rock face. This past week, I had the pleasure of travelling with a group of dedicated educators from TMA (Teacher Mentors Abroad) as we ventured to Santiago and Santo Domingo in the Dominican Republic to visit several schools and see firsthand their work in terms of supporting student learning as we attempted to make informed and purposeful plans for this year’s July Conference. For the past ten years, TMA has been partnering with Dominican educators in an effort to share best practices through a week long conference in July. This trip was a chance for us to see how strategies were being implemented, meet the school staff and students and appreciate the conditions within which these educators thrive each day. And not unlike the flower that flourishes within harsh conditions, these educators demonstrated heart, soul and a passion for educating their students and did so with minimal resources, cramped classrooms, no breaks within their day and extreme heat. Although conditions varied from school to school, most classrooms held about 25-30 students, had limited floor space (except for the empty desks), one blackboard with a single piece of chalk and a single notebook and pencil per student. And yet, from the eye of an educator, there was learning blossoming throughout the day. We had the pleasure of visiting some senior classes and providing students with an opportunity to try their English with us ~ what a delightful experience. All in all students seemed thankful to be in school and to be a part of their learning environment. Another observation that we noted was the incredible respect demonstrated between students, teachers and district staff. Students were neatly dressed in uniforms (most of them loaned to the students by the government ), fed daily with juice and snacks and their teachers were all professionally dressed ~ which was so impactful, knowing that a teacher’s salary in the DR (more than half of them make less than $177 US a month) is so much less than other occupations and that many of the educators walk a very long distance to work each day through dusty, dirty streets. I couldn’t help but wonder if something as complex as “respect” could begin to be addressed with something as simple as “professional dress” by all of our educators in Thames Valley. At the end of our visit, we had the opportunity to meet with their District leader and share our observations and plans for moving forward with support. And although our intended purpose was to provide feedback (which we did), I walked away with many “what ifs” in terms of education in our backyard. We have no idea what it’s like to teach under such intense adversity and yet we tend to forget to be thankful for what we are afforded as educators in Thames Valley. 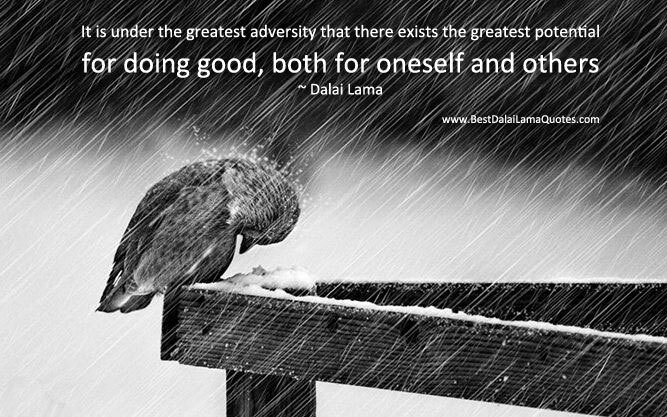 What adversity have you had to overcome? How did it make you a stronger educator?